The innate philosophy of the life of ‘naaku betta’ (the people who live in the hilly region, Badagas) can best be understood from the tradition bound age old hatties (hamlets). The hatty (hamlet,village) is a group of persons as well as an aggregate of land holdings. The village life is highly characterized by various rites and rituals. The village life of Badagas had attracted the serious attention of the scholars even during the colonial administration of the British. Few indigenous scholars’ contribution in this regard is remarkable. The result of these studies have got significant role in reconstructing society’s lost glory and reviving cultural heritage. The Badagas are an ethnic and linguistic minority tribal group with a distinct culture and heritage of their own. The socio-cultural life of Badaga village is largely influenced by customs and traditions with profound antiquated background. This can be explored and analysed through holistic approach of the regional condition based on certain universal thoughts and ideas as well as unified activities. The history of a society is largely the history of the thoughts and deeds of masterminds. These men of mighty will, vision and wisdom impart new hopes, new life and new direction to a society. In fact the ancestor of Badagas imparted humanism and compassion to their society that was enmeshed in a complexity of rituals. For example, one can note how a salutation passes between two when they meet each other. The younger stands in front of the elder inclines his head slightly and says bandiya, ayya, mamma etc., (grandfather, uncle etc., you have come). The elder replies ‘badak, badak’ (blessing, blessing) and rests his right or both of his hands on the top of the younger. Though the word ‘badak’ usually means ‘live’ here it is used in the sense ‘flourish, prosper or live long’. Uttering these words the elder reveals his felicitation to younger without any prejudice. Whereas the younger shows his profound reverence to the elder. The elders took up with joy the task of shaping the future generation and discharged their duties in an exemplary manner. The elders of the village settled disputed arising among the village folk who were well acquainted with the norms. Justice was meted out at the very place where the dispute took place. It was inexpensive and immediate. 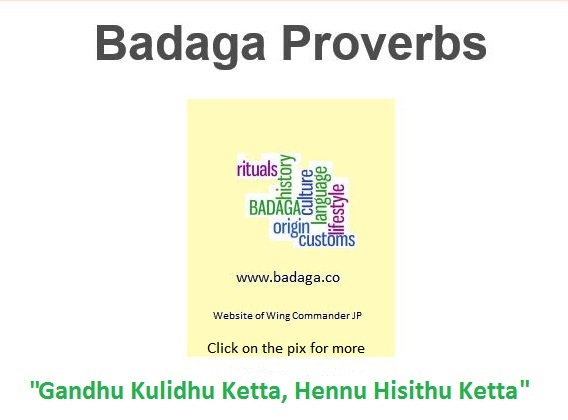 One of the Badaga proverbs embodies, if you prefer a complaint to a magistrate, it is as if you had put poison into your adversary’s food. The unique karu harasuvadu (after-death confession) of the Badagas mentions that preferring a complaint to the government was considered as a crime, for which atonement must be made. That is, the society acted in such a manner to settle all the disputes, differences etc., with in its social set up. The fact is that the proponents of ‘gowndike’(village leadership) were genuinely committed group who worked hard to inculcate a sense of oneness amongst various sections of the society. They endeavoured to make the people that they are all inheritors of the sublime values of their culture. In short one can say that they had endeavoured to make life richer than what they had found it was. 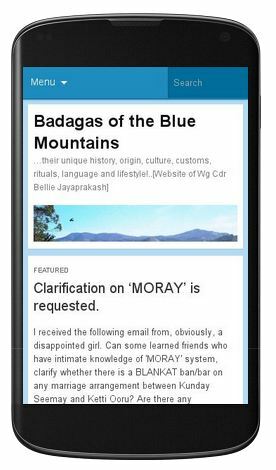 Badaga community began to adopt modern systems and culture in consonance with the modern trend. The earlier tradition, moral values and religious practices are seeing their change or end. The call for creating new society and for cherishing new ideas became popular. In the new social order, the present generation is expected to have a vision of the emerging society and its demands and play a major role in the review and reorientation of the society’s cultural heritage and priorities. According to modern linguistics a language does not descend from another one. Linguistics elucidates the theory of Proto language. In this background it is wrong to say Badaga descended from Kannada. Instead we can say both Kannada and Badaga descended from Proto Kannada-Badaga. Badaga, as a Tribal language of the Dravidian family preserved more of its archaic features. At the same time its long duration of isolation gave room to more innovations. Script is nothing to do with the position of a language. It is entirely a prerogative of the speakers of the language concern. However with the usage of ‘oole’(palmyra leaf, mentioning written document in ‘oola kattuva’‘ ritual) one can adduce the literary knowledge of ancient Badagas. Once Badaga married women were adorning ‘oole muukkutti’, which had written identification of their husbands. Similarly married men had written identification of their wives of ‘oole’ in their possession. On death of a spouse the other had to return that written identification. After that ceremony the living is free enough to have new spouse. Earlier scholars expressed their views superficially on Badaga language with their little collected materials. Due to this, once Badaga was relegated to the position of dialect of Kannada. However, during the recent past scholars studied Badaga language thoroughly and exposed its independent status. The Nilgiri gazette mentions about the Badaga language’s far away position from Kannada. Dr.S.Swaminathan,a Dravidian scholar, mentioned Badaga language’s independent status in his paper presented at All India Conference of Dravidian Linguistics(1971). The Kannada encyclopaedia mentions about Badaga’s distinct language status. 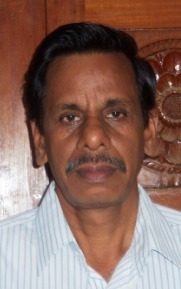 Dr.R.Balakrishnan, Annamalai University professor gave detail explanation to consider Badaga, Kodagu and Tamil in one group. Dr. Paul Hockings, an American scholar found six dialects in Badaga. It shows the vast usage of Badaga language. Of course these findings are known due to the prolong research and further research is required to have more such details.